Negotiators have reached a draft deal, which will see Iranian uranium processed in Russia and France to produce ready-to-use nuclear fuel rods. The news comes from the head of the International Atomic Energy Agency, Mohamed ElBaradei, who spoke to the media on Wednesday. He said the draft agreement has been sent to participant countries’ governments for approval, and the deal is to be signed by Friday. He didn’t provide any details on the final version of the agreement. “Of course you are well aware that we have mastered enrichment technology. We can produce the fuel for ourselves on this reactor for 20% enrichment, but we’ve decided that we will receive the fuel from the potential suppliers which are willing to do that instead,” he said. The uranium fuel deal was first proposed during talks in Geneva on October 1. It aims to dispel fears in some countries that Teheran wants to use uranium produced at its enrichment facilities to make nuclear weapons. 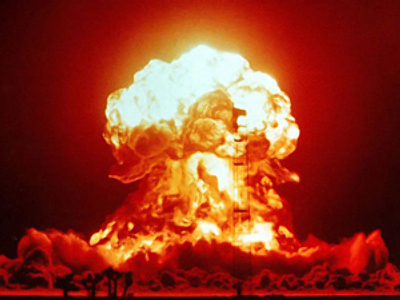 Iran insists it needs the fissile material to develop its civilian nuclear program. According to the proposed scheme, the low-grade uranium produced at the Iranian plant in Natanz is to be sent to Russia for further enrichment. The higher-grade material will then be used to make nuclear fuel rod assemblies in France and delivered to Iran’s power plants. Earlier, the talks in Vienna were reportedly stalled after the Iranian delegation objected to French participation in the scheme, citing its past negative experience in nuclear cooperation.